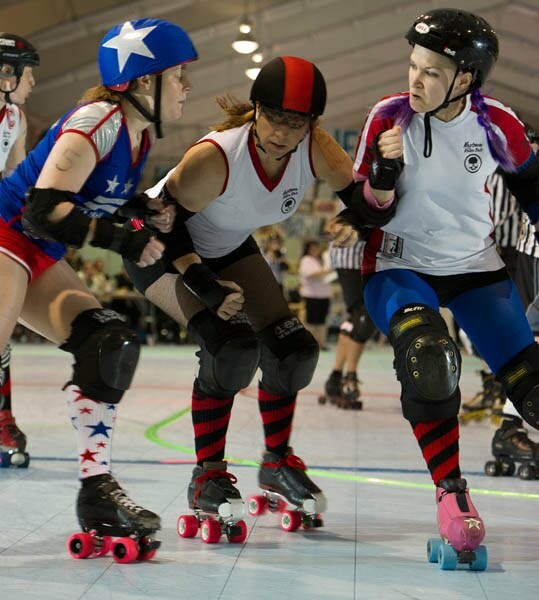 tin lizzy tore her ACL in the game against WCR in may. she had surgery first week of june and will be out for a while. sad panda. and pretty much everyone on our league, either has or has had some sort of crush on tin lizzy. so join the club. Aw man, I wish I would have known you were going to be up here in Philly! Now I really want to kick my roommate in the balls. I wanted to go and support HARD, but he got all "it's father's day and I need to visit my dad" and crap. And we were only an hour away! Grrr... I hope you had fun! DCRG had a great time at the bout. Sorry we didn't get to hang out at all....your post about dating a derby girl made it around the league a few times. Maybe next year.